Sony today announced the Xperia M2, a 4G-enabled Android smartphone that will likely compete in a new category defined by the Moto G (our review) last year: Mid-range specs with a reasonably low-end price point. The handset comes with a 4.8-inch qHD display (960×450 pixels) and an 8-megapixel camera capable of shooting full HD (1080p) video. It’s just 8.6mm thin and weighs 148 grams in the hand, and has an industrial design similar to the Xperia Z2 and Xperia Z2 tablet, which Sony also unveiled today. It’s powered by a quad-core 1.2 GHz Qualcomm MSM8926 (or MSM8226, in some variants) processor, 1GB of RAM and 8GB of onboard storage, coupled with a microSD card for up to 32GB of additional space. An immediate drawback is the software experience, however. Sony’s Xperia M2 runs Android version 4.3 (Jelly Bean) out of the box, which has already been replaced by version 4.4 and subsequent minor updates. While a firmware update is possible, it’s disappointing to see Sony ship a handset with an outdated version of Google’s mobile OS. 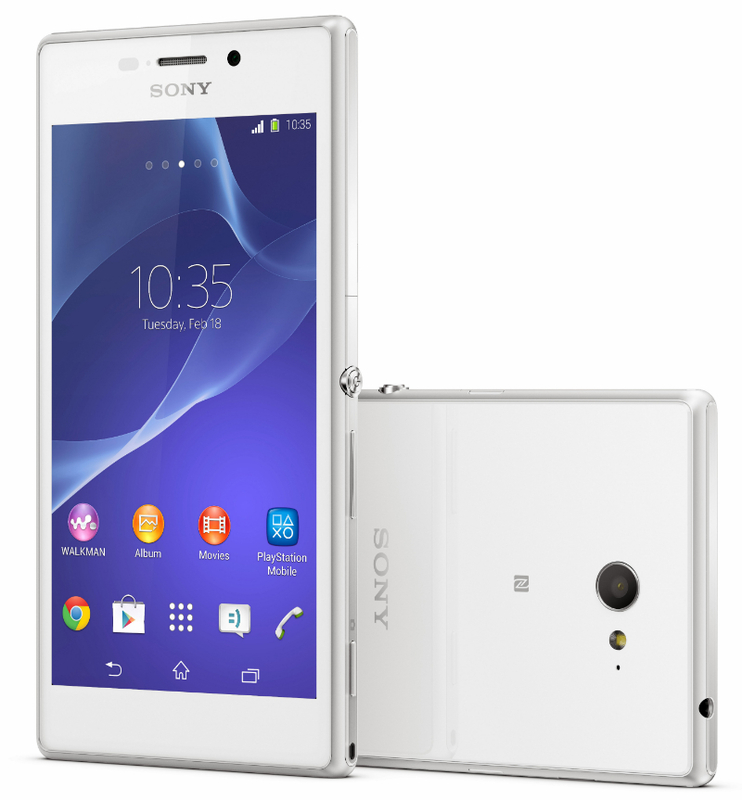 The Xperia M2 will be available globally in white, black and purple from April. Sony has not revealed the price of the device yet.